Today on the Doc On The Run we’re talking with Pro Triathlete Jess Smith about all the special considerations surrounding running, training and maintaining fitness before and after pregnancy. Dr. Chris Segler: Jess is an amazing athlete. 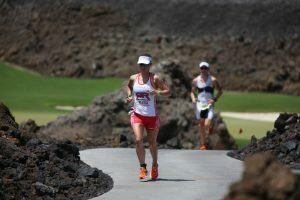 She got a Kona slot in only her second Ironman and then became the 2011 70.3 Ironman World Champion. Since that time she’s been racing Pro. 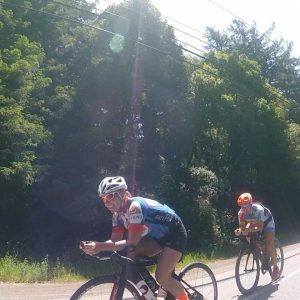 Over the past year Jess has had some major life shifts and I think that her experiences can help all athletes understand the importance of priorities and focus as life unfolds. 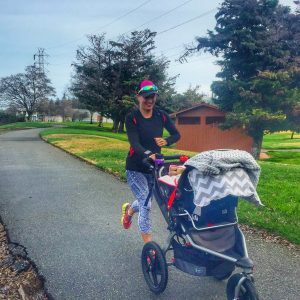 She recently started coaching full time, she had a baby and then she got right back to racing. So if anyone knows how to keep the fitness while making major life transitions it is Jess. Jess welcome to the show! Jess Smith: Thanks for having me. Dr. Chris Segler: Great to have you here! Maybe you could give us a little background about you and your athletic history. Give our listeners an idea what you’re up to now. Jess Smith: Okay great! I grew up swimming. That was pretty much my life from age nine to eighteen. And then I graduated from high school and said,”I’m never swimming again! I’m done and hate it. I’m finished!” Then when I got to college I rode at Southern Methodist University which was definitely an interesting experience and I just wanted to keep fit and keep sport in my life. But after I graduated college I didn’t have a sport and I was looking for a new challenge and I had always been an endurance athlete. So I decided I was going to start running marathons and then marathons turned into triathlons. From my first triathlon I just absolutely loved it. Ironman was my third triathlon ever and I really wasn’t that great when I started but I was super motivated and just loved it. So just kind of kept working and kept working. Then I moved to California where we had hills. I got a lot stronger and got my first Kona slot and then it’s just kind of progressed pretty quickly from there. It’s been a fun ride for sure. Dr. Chris Segler: That’s interesting. 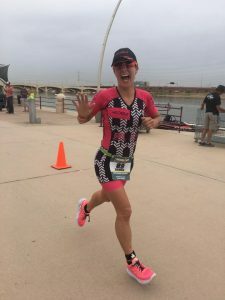 My first triathlon was in Ironman and I have heard, and I actually really believe that it was right for me, because I had no idea what to expect. For me I thought “Well, I haven’t done any of this anyway.” Yet, if I had done an Olympic distance I think I would’ve thought it would be impossible to do something four times that long, but I do understand the thinking behind doing an Ironman as your first triathlon. But I understand that it can be extremely difficult to become fast if your Ironman is your first triathlon. Because you start out with this expectation that it takes you forever to finish. So then you may think “Well, how do you cut your time by fifty percent? How do you chop a huge block of time off there?” and it is very difficult. So how did you make that shift? How did you really start ramping up your speed after doing your first Ironman? Jess Smith: Well it’s kind of funny. When after I did my first Ironman I remember telling my husband. I think it would be so cool if someday I could race a as professional. But in my first race I took twelve and a half hours. I was in the middle of the pack in my age group. And I think he just kind of laughed and thought “Oh yeah, great! That’s a good goal”. But I was just so far away from that zipcode! B I just kept a love for triathlon. I didn’t race that often but I really like to enjoyed the process of training. I got in with a triathlon team. 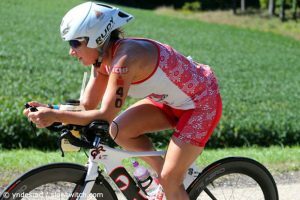 When I raced my first Ironman I barely knew how to change my own tire, so just training with other triathletes gave me a lot more knowledge. You train with other people and you start to go a lot faster than you realize. I was climbing all the time and just really enjoying myself. I honestly didn’t know how much progress I had made because I wasn’t being coached. I wasn’t really tracking my progress and I didn’t have TrainingPeaks or anything like that. Dr. Chris Segler: Yep, that is a big part of it, right? You have to make big shifts. You can’t do things the same way and expect to not finish in middle of the pack in your age group. That’s something very, very different. So you made some big changes. Some are just lifestyle changes. They just happen to work really effectively by making these changes. So it sounds like some were almost accidental in a way. But obviously you learned a lot about that so now you use those experiences and knowledge to coach other athlete’s, right? Jess Smith: Absolutely and I mean the big thing is it took me, I mean I didn’t race Ironman for two years. So the whole time I was training and I think the thing is if you do an Ironman and you think “Oh, I’d like to get to Kona but that goal is two hours away” the thing that helps me is not thinking “Okay, I need to take off two hours or I need to be at the school right away.” It was playing the long game. I mean it took me two years to get to that point and then now I’ve been racing triathlon for a decade and it’s just a little bit of progress. I always tell my athletes that what you really need is consistency. You need some time and you need consistency. Then you need to figure out what your actual goal is. Then just have baby steps, baby goals that you can use to monitor your progress. You can track your progress and then you get to celebrate along the way. It’s not that you jumped from the middle of the pack to top of the age group or that’s your only goal and that’s your focus. You’ve got to have ways of enjoying the process and making small gains over time. Dr. Chris Segler: Right, well that is a big part of it. So it’s these small gains. I think that would a lot of people do, at least people that I see. Because, of course I see people are injured. So I get to see what people do wrong. People don’t call me and say “Hey look I’m doing awesome. I made these gains and made sure I never get injured.” I see them when they’ve overdone it. They make some big mistake which seems obvious to me because that’s all I see. But it’s like you said, it’s at the long game. So when people do their first race, they may think they’re relatively fast. Now, when you said that you finished in the middle of the pack, you said that like it’s a negative. It’s not, it’s your first race! And I think to just not finish basically behind all the sixty-year-olds when you’re doing your first Ironman is incredible! But you have to think about it like a long game. That’s what most these people do wrong is that they say “Okay, I’m going to take two hours off my time” and 12 hoursis not slow. 12 hours sounds like a lot of time, but it’s not slow for an Ironman. So if you then want to take two hours off, that’s a huge goal! So many athletes may think they’re going to do that, and when they’re self-coached I think they start making big errors. They think it’s all about harder work, it’s all about more effort, and it’s just discipline. They delude themselves into thinking “All have to do is go harder than everybody else and I can chop two hours off my time.” So they’re doing hill repeats on back-to-back days. They’re doing track workouts on back-to-back days. They’re getting stronger and they’re seeing big gains and they’re making big improvements. But then they call me because they have Achilles tendonitis or a stress fracture, and then it’s all wrecked. So you cannot take long periods of time off from your training because of an injury and then expect to be right back on track for your season. That’s the main focus is this whole podcast…to help runners avoid injury. And we all know that all of the stressors that add up have a compound risk of injury. It’s a cumulative effect. It’s not just the stress of training. It’s not just hill repeats on back-to-back days. It’s work stress, changing jobs, having a baby and all the things that can make life more stressful that can predispose athletes to injury. Because all of these stressors do accumulate. Stress hormones build up and put you at risk. So it can be all different kinds of stress. So tell us a little about what did to manage all these stressors as you ramped up initially to your Pro level race fitness? Jess Smith: Yeah actually, I was so lucky that I never got injured. But I had some real struggles when I first turned Pro. When I was ramping up to get to the Pro level, I did it the right way. It was a long game and I didn’t get super fixated on a single goal. I was just making small progress over time. Yet I was working full time and commuting to the city from where I live (which is about an hour away). So on any given week it meant 50-60 hours of working and commuting time. And you know you have got to fit the training around work. At least, I think most people have at least that much going work and stress going on in their life. So I was just fitting in training when it worked. I was having fun with it. Then when I turned Pro it became the idea of “Okay I’m a professional. I need to focus. I need to be training harder.” And instead of saying, “where do I want to be at the Pro level in five years?” I thought “Where do I want to be at the Pro level this season? 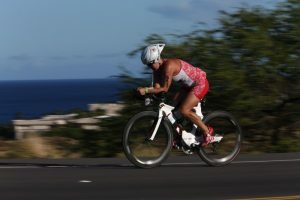 I want to get to Kona.” I totally shifted the way I had been thinking about triathlon and the way that it had been working for me and I got too fixated on where I thought I should be right away. I was working with a coach and I put too much intensity into my workouts and I couldn’t handle it. I had too much life stress with the working and commuting and I kept breaking. I wasn’t getting injured but I was getting tired all the time. I would train for four or five weeks and then I would spend two or three days in bed just exhausted and I kept this going. I just kept thinking “Okay I just need to train harder and I need to train longer and yeah I’ll get this recovery”. 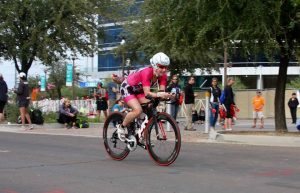 But I wasn’t racing well, I was losing my aerobic fitness and I was going to races, running faster and riding harder than I ever had but not being able to really put it together for a 70.3 or an Ironman. I didn’t have aerobic fitness anymore. Yet I kept thinking, “I just need to keep training, keep training” and then I kept getting tired. When work stress gets in the way, this is what I tell my athletes “If you have a busy day and you’ve missed the session, the triathlete in us, the type A personality says, “Okay, we want to make it up or I want to do this workout and fit it in, no matter what. Or I want to do it tomorrow.” But the smart athlete in you should be saying “My life stress just went through the roof. My body can only handle so much stress and one day I’ve got to pull back on the stress somewhere else in my life and that has to be training” and then at that point, training is not going to be beneficial to you anyway. You’re just going to be spinning your wheels and digging yourself a hole. So you have to pull back and that’s something that was really hard for me to learn. It took me awhile but it was the only way I have been able to really get back to fitness after having my daughter is to look at my entire stress pie and see that okay everything adds up to a hundred percent. If the piece of my work pie gets a little bigger one week or one day or my daughter’s sick or she’s up late at night, then something else has to get cut to reduce the stress. Maybe I need to pull back on work (which let’s be honest is probably not realistic for most people). You have to pull back on the training or the extracurricular activities. But if you can pull back, then it all works. Dr. Chris Segler: Yeah that’s the important point. The fact is that most intense runners and triathletes are all very, very, very type A. So it’s a safe bet that pretty much anybody listening to this right now is a type A person who has mapped out their training. They are clear on what they need to do. They also have a very difficult time letting go of any of those workouts even when something goes sideways. And things do go sideways. It’s interesting to me when I start helping an injured long time runner. They may have been running marathons for years and years, they’ve been doing basically the same workout for years and years and years without any kind of consequence. Then they suddenly get Achilles tendinosis or some kind of injury and they’re kind of baffled. They didn’t really do anything. It’s not like they ramping up their training. It’s not like they were running a different race. Then they’ll say, “Well, you know, I had a baby or I got divorced” or “I got this new position at work and it’s just massive stress and I have to travel a lot.” Any of these external things that add emotional stress and life stress, they can push you over your threshold for injury, right? In your case instead of getting injured you listened to it so you basically said “Okay this is terrible. I’m exhausted. But I’m going to be in bed for a couple of days basically trying to get it back.” That probably prevented you from getting injured. If you had just ignored the exhaustion and all of the signs of overtraining and said “I’m going to do my workout anyway” you probably would have been injured. But it’s very difficult for people to recognize before it’s too late. When you’re pregnant that’s obviously a very difficult time to maintain peak fitness because the physiologic stress is really complicated. You may be used to training, you’re used to doing all the same workouts. Mentally you can certainly do it, but it’s very stressful. Your body is changing, ligaments are becoming more lax, your muscles can’t quite pull as hard. You’re still working hard training. Manwhile you have this baby growing, sucking all the nutrients out of you. You are normally able to rebuild your own tissues, but the resources are now actually getting diverted preferentially to the developing baby. And that’s one thing that I actually don’t hear a lot about and I haven’t heard from doctors either really. Many doctors seem to want discourage high-level fitness during pregnancy because they think it’s going to be unhealthy for the baby. I don’t really know if that’s true. But one of the things that is really not discussed is how you maintain your level of fitness during pregnancy. I really do think a lot of physicians offer some misinformation and confusing advice around pregnancy and running. I’ve heard all kinds of things; keep your heart rate at a conversational pace, don’t get your heart rate above 150bpm, all of these are sort of broad general ideas. Yet I don’t think anyone really knows what’s safe in terms of pregnancy and training intensity. So what do you think? Obviously you continued to train throughout pregnancy. I have lots of friends who are triathletes who had babies who also continued to train. What is it that you recommend to your athletes? Let’s say somebody’s pregnant and she wants to maintain her fitness so she won’t end up having a baby and then have to start over with a year of sitting on the couch. What do you do? I mean what do you recommend to them? Jess Smith: Well it’s really funny! When I first found out that I was pregnant I asked the doctor and they said “Okay come in a couple of weeks.” I said “Okay, well…what do I do now?” They kind of gave me some guidelines for taking the prenatal vitamins and all the very basic stuff and then I said “Well what about exercise?” and they said “Well do you exercise a lot now?” and I said “Well I’m a professional triathlete!” The nurse on the phone said “Aaah hold on a minute” and she came back about three minutes later and she said “Well normally we tell athlete or tell people to keep their heart rates under 140bpm during exercise.” “That’s probably not going to apply to you. Just don’t exercise to fatigue” and I said “Okay”. But as I got to the point of that moment, I’m an endurance athlete, what do you mean don’t exercise to fatigue, that’s what I do… that’s all I do! 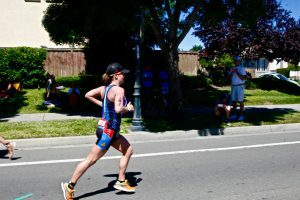 I read some other blogs of mom triathletes who have come back to raising pretty quickly to kind of see what they did and then it was really about listening to my body. So I just thought “Well if I feel good, I’m going to exercise.” I kept swimming, I kept biking and I kept running. I stopped biking probably outside six months just because I didn’t feel as comfortable with the big belly being outside on a bike. And the indoor trainer is not that fun. But in terms of running, I think it was my goal to keep running the entire pregnancy. I got one of those belly bands and hiked up the belly when it started showing. But I just I would do intervals sometimes. But it was more about how I felt that day. I would try to get at least an hour of exercise every day if it fit in with my schedule. If I was feeling good then I would just jog an easy jog. I know a lot of athletes are type A. When I found out I was pregnant I thought, “Oh man I’m almost losing a year.” I want to be as fit as possible. I want to make sure that I can come back and race really well as soon as that baby is born. The more pregnant I got, the more I realized this is a perfect time to let my body have a break. It’s already doing all this work to grow this other human and I personally need that exercise to really stay sane and to feel good. I mean I’m not a doctor obviously, but I think it was better for me to keep fit. I think that the fitter the mom, the happier the mom. That baby is benefiting from that happiness as well. But after about the first twelve weeks, I just didn’t feel great doing harder runs, so I just kept my runs at a conversational pace because that’s what felt right for me. I did have some niggles where I had like a tight Achilles. Like every once in a while I would have some him or knee pain. But it was never anything big, but clearly something that could have turned into something bigger if I wasn’t careful. Then I took nine months where I was just jogging, running easy, running the pace that I felt was comfortable. I was enjoying runs like trail running or do whatever I found fun. It was an opportunity to have an extended period where I wasn’t hyper-focused on a racing. For most athletes, if you try to think back to the last time that you had more than a few weeks of just light training probably most of us can’t even remember or it was before college or something. So it’s hard to take that time unless you have a specific reason. But I stayed fit. At about 35 weeks into the pregnancy I started to get uncomfortable. Things start to stretch out, the baby was getting big and I was kind of disappointed that I couldn’t keep running. But at that point you have to say “Well this is what my body is capable of doing.” Some women can run the entire pregnancy and some women can’t make it past the first trimester.” It’s just all about how your body changes. And at the end of the day, you just have to listen to your body and that’s what I did. At 35 weeks I said “Okay that’s it, I’m on the elliptical or I’m going for walks.” You can stay fit and stay in the pool but it’s the same thing. You’ve really got to be in tune with your body and what makes you feel good. I think that’s the key is when you’re pregnant it’s all about feeling better and using exercise to feel better and to feel good but not to put yourself in a situation where it’s making you feel worse or more tired or more stressed. Dr. Chris Segler: With the information that we get from the medical literature there’s no real information to rely on. Because during pregnancy, obviously, it is really important to everybody that the baby stays healthy. So many think exercise is very high-risk. There’s a reason why OBGYN’s have the highest malpractice insurance cost of all doctors. Because it’s really high risk because this is your baby! We don’t do clinical trials on people that are pregnant. We don’t do studies on people that are pregnant. We’re not going to take a bunch of athletes do studies. No OBGYN will start a study where they split up pregnant women into two groups and compare groups with reasonable exercise vs. high intensity exercise to see if the baby will wind up with developmental problems o if the baby turns out to be underweight or anything. They’re just not going to do that. It’s too high risk. So the doctors are obviously trying to give you the very best advice they can based on what they think they know about developmental milestones and everything else, everything they can track. They always are going to be cautious. But most athletes are not cautious by nature, they want to push and push and push and find out where the line is. But as you said you have to be really cautious and think about your body. So when you’re training and suddenly you’re getting these things that would turn into the early stages of injuries such as Achilles tightness, you listen to it. But it’s also important to communicate that to your coach. You, as coach, now have the experience. I’ve never been pregnant, I don’t know what that’s like. I don’t know what it feels like when you run with ligamentous laxity. But because you’ve been through it you know how to relate to them. So if somebody’s training and they want to stay fit during pregancy it really helps if they have a coach who can say “Okay well, I know what that’s like.” That’s extremely helpful because it’s not just the physical things, it’s also trying to keep the right mental attitude. I think it is especially difficult when you’re pregnant because you have these hormonal fluctuations that may be completely new to you. All of those hormonal and resulting emotional fluctuations start to affect you. In terms of mental strategies, what do you do to help pregnant athletes keep an even keel. How do you help them stay on track with their goals? How do you help them with that mentally? Jess Smith: Even though you’re not training for a race but there is kind of thing that you are training for, you’re training for when that baby is born. So I’ve never actually coached an athlete that’s pregnant. But I’ve had a lot of friends that I’ve worked with who are pregnant or wanting to become pregnant. They always ask me questions about what I did and what to focus on. I think for triathletes or even or runners or any athlete, we want to have goals. We want to be working towards something and so I think identifying what you really want to get out of it. Obviously you’re getting your baby and that’s the end goal and that’s the great thing. But what do you want the process of your pregnancy to be like and where do you want to be when that baby is born? The best goal I could possibly give anyone that’s pregnancy is to say “You want to get to that baby being born feeling good feeling, feeling fit, not having gained a ton of weight or being super out of shape” but at the same time use that nine months as “This is my extended break, this is my chance to reset the clock. I’m going to stay aerobically fit, I’m going to stay mentally, physically healthy but I’m going to let my body recover”. It’s doing all of this work and so that’s I think that’s an amazing goal to stay focused on because that’s something that’s achievable for everyone if they made their pregnancy in the right way. I think if you break it down by trimesters, the first trimester stuff and you try to keep your diet as good as you can with what you’re able to eat based on how you’re feeling. In the second trimester is when you’re really feeling great. That’s when you can do longer workouts and keep that a real big fitness and then at third trimester you start to get a little heavier and then it’s basically time to start to back it off. You get a little extra rest. Your prepare for that child to show up and then you just like it’s the same thing you can set goals for your pregnancy and that keeps you focused on things that are healthy and not going overboard. The goal should never be, I want to race Ironman in six weeks after the baby’s born. I’ve actually heard that. I have heard athlete’s say they want to be able to race Ironman at some certain point after pregnancy. You don’t know what your life is going to be like when that baby shows up. So don’t worry about that. Know that when that baby’s here and you see what your lifestyle is like you’re going to be able to make those goals. Set goals for how you want to feel and then you better listen to your body. I have a friend that’s about to have a baby any day and she was really disappointed because she was unable to run pretty early on and that was her goal, run through the whole pregnancy. But it didn’t work out. Her body wasn’t going to allow her to do that. So she had to reset the goal. Then the goal became, “Okay I want to maintain. I still want to maintain the whole fitness, I still want to be this athlete”. But what does that mean with what my body is going to be able to give me at this point so you can still stay focused on goals and have something that you’re working towards? Just make it more relaxed and then it’s like normal training. Life is going to get in the way. You have to be a little bit more okay with being flexible and altering your goals when maybe your body’s not going to give you exactly what you want. Dr. Chris Segler: It’s an interesting point though. Because you said that you think of pregnancy as this period to kind of recover, too because you’re going to dramatically back off your intensity and the amount of training you’re really doing. Professors often take a sabbatical right? They work their tails off and then they take a year off to kind of to recover mentally. If you’re really training a lot that may benefit you in lots of ways that we don’t really understand. My fastest Ironman ever was when I was sick, I got pneumonia and it was my fastest race ever because I likely had a proper taper, as opposed to sort of like going into the freak out panic mode that some athletes do before races. I just helped an injured athlete with a stress fracture, who had a stress fracture and yet it was her fastest Ironman ever…even after not running for a month right before the race because she had the stress fracture. She still has a stress fracture when she did the race and it was her fastest race because she was properly rested. So it is possible that athletes could get pregnant, take more appropriate rest and then be better situated to really train after the pregnancy and go even faster. Obviously it’s really difficult to think that pregnancy is going to benefit them. Just like it’s extremely difficult for most athletes to really believe the taper is going to really help. But that’s the challenge…just trying to keep the importance of rest in perspective. Jess Smith: When I was pregnant I actually worried about that time, “am I going to be able to come back?” Hindsight is twenty-twenty but now when I look back I realize I took the first three months after my daughter was born and just said “Okay, I’ve got to make this lifestyle work. I want to keep fit and active but didn’t rush back to fitness” and in the last three months it was like “Okay I’m doing no intensity. I’m just going to workout when I can, keep it really easy” because the intensity’s really hard in the last trimester. I just didn’t feel like I was really getting a lot out of training hard at that point anyway. I thought “I’m going to have to reset once this baby is born”. What’s the point in doing all this intensity when I’m not going to really reap the benefit? Knowing there really wan’t much benefit to hard training I just said “Okay I am going to keep it easy. I’m going to enjoy my workouts.” Now looking back I realize that is one hundred percent the best thing that I could’ve done its just to take out the intensity. Not putting that kind of stress on my already stressed body actually set me up for a much better and much faster return to better fitness because I had given myself that time. 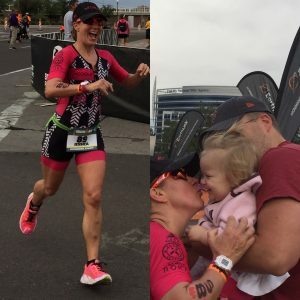 Dr. Chris Segler: After you had the baby, obviously you were set up for success because it seems like you got back to racing pretty fast, even for a Pro. You got back to racing and you’ve done really well. So what is it that you did after you had the baby? Many women have a baby and are told they can’t even pick up a gallon of milk. But there you were thinking about racing Pro. I imagine there was big gap between what you expected of your self and your activity compared to what your doctors may have been thinking you should. What did you actually do to get back to racing so fast? Jess Smith: I was really lucky. I didn’t have a C-section like some women who do and have to wait six weeks before they can do any exercise. So I’ll definitely say that I’m super lucky. I didn’t have a lot of pain after my daughter was born. Actually the first four or five days after she was born I just thought “Oh my gosh I need to walk or something.” I got on the treadmill and I just thought “Okay, I’m just going to jog just a little bit to see how it goes.” I tried to jog for maybe a minute or two and I didn’t have any pain and I thought “Okay great!” She was born in mid-September and there weren’t going to be any races that I would even look at until April, which was actually my first race back in 2016. I knew had plenty of time, so I didn’t need to rush the recovery. She was eating every 90 minutes around the clock. So it was really hard to fit things in. And that’s kind of what I said before about you have to wait to see what your lifestyle’s going to be because you don’t know if you’re baby’s going to be needy or less needy and you can’t predict what your schedule’s going to be like. So I used that first three months to say “Okay I’m just going to go easy. I’m going to get back in to training, I’m going to see my old training buddies.” But I would go and work out with them when they were doing their easy workouts or their recovery workouts. After having the baby I literally did no intensity for that first three months at all. All I did was try to build my runs to be a little bit longer. I focused on getting my heart rate back on track. That was something that I found when I started training again: training by heart rate is an extremely effective way to rebuild your aerobic base without a lot of stress on your body. I shifted to a philosophy about training at your max aerobic function and not exceeding that, pretty much ever. Obviously I got to the point where I would do some increased intensity and go above that heart rate because I’ll race there. But for the first three months I never went above that line. I used restraint a ton to get back to fitness. It was super effective for me. In the first few months of training I was still working full-time, commuting to the city a couple days a week plus raising my new daughter. We didn’t have a lot of day care and so all of the usual life stresses I had before, plus the baby stress, plus I was now trying to train. I had to shift the way I was thinking about my training. I knew that if I tried to put any high intensity efforts into my schedule I wasn’t going to be able to handle it. 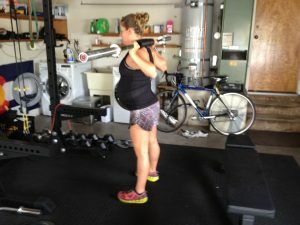 So instead of trying to force it with intensity, I just said “No, I’m going to work on volume, try to get my fitness back, make sure I can fit workouts all in and see where that lands me for me when I start racing.” That approach allowed me to really maintain good consistency coming back from pregnancy. Because I was reasonable about it, I didn’t get sick. I didn’t get injured. I was able to train week after week after week. Even being up late night feeding the baby, or just being up in the middle of the night a lot with a newborn can be a huge stressor in itself. I had to factor that stress into the equation. That’s how I was able to get back to racing. Not rushing it, not forcing it, listening to my body, watching my heart rate doing a lot of easy, but not too slow, as in max aerobic heart rate is still working but it doesn’t cross that threshold. It was important to not deliberately cross that line into really high intensity efforts that can break you down. I think that was a really good focus form me. Of course, if you don’t work, or you have a nanny you might be able to handle more. But it’s all about knowing what your lifestyle’s like, what stress your workouts going to put on your body and then manage it so you don’t go overboard. Dr. Chris Segler: All right so the other thing I want to ask you about is nutrition. Obviously nutrition is really important in your training. It’s really important when you’re racing. There are entire books about nutrition written just on race day planning. When you’re pregnant, there is no book on training or racing while you’re pregnant because doctors don’t really condone that activity. So what did you do when you needed advice on training during pregnancy? Because, like you said earlier it’s very difficult. During the first trimester, some people can’t even eat. They throw up every time they eat. Some people can eat just fine, they don’t even know they’re pregnant. It can be widely variable. Could you share a little bit about what you did and help guide all of those women who are pregnant and would like to train? Have you seen any sort of trends or any advice that pregnant athletes can rely on when trying to train safely? Jess Smith: Yes, when I first found out I was pregnant I felt pretty good. But then around seven to ten weeks I had a little bit nausea. I was really lucky that I never really had any morning sickness and never threw up. Then I went through probably a three-week period where if you even showed me a salad I might just throw it back in your face. Having nausea at the sight of a salad can be really hard for an athlete whose used to eating vegetables all the time. I tried to eat really healthy most of the time during pregnancy. At some point I had the realization “Okay, I need to be eating even better because I’m supporting this new life and my body does not want vegetables. All I want are muffins and bread or anything with the carbohydrates.” That was a bit of a mental shift and I didn’t last very long, so I got through that period. I know there are some extreme diets out there and I think a lot of athletes can fall into the diet trap and think that they have to eat Paleo, that they can never have carbohydrate or anything outside of their diet. But for me what has worked best and I realized I’m not one of those teeny tiny little stick figure girls that weighs a hundred pounds. When I’m in peak training one idea that really supports my training (which I think is the number one goal), is that i have to have a diet that works to support my body and my desired activity. A lot of people try to lose weight or want to be thinner. But you have to think as an athlete in terms of what’s going to benefit your training the most. Thinking about nutrient dense foods is the number one goal. You should eat a lot of fruits and vegetables, whole grains and a lot of lean protein. Stay away from processed foods, especially processed sugar.Yes,I eat a Snickers bar on my ride but I’m trying to stay away from sugar outside of training. But during pregnancy if you have a sort of balanced diet and a mentality that focuses on supporting your body then it’s easy shift into pregnancy. Obviously you have to modify for the things that sound good and don’t sound good when you have nausea, but the same rules apply; you just eat a little bit more, because obviously you’re eating for two. I mean sometimes it feels like you are eating for two. Sometimes it feels like you’re eating for five. But you have to take your calorie requirement seriously, especially in the beginning. Your calorie requirement grows as the baby grows. You really don’t need that many more calories early on in the pregnancy, so it’s challenging. You’re a little bit more hungry, but you want to just stay focused on those nutrient dense foods that are the best for your body in your training. Ultimately that’s what’s going to be best for the baby. So keep eating the fruits and vegetables! Yes, you can have a muffin occasionally. I live four blocks from a 24-hour doughnut shop. So during pregnancy that was a bit challenging, and I tried not to hit up the doughnut shop too often. But it was always there if I needed it to satisfy a craving. Dr. Chris Segler: Right. A doughnut is not going to kill you. The baby actually does need lots of fat to develop. So anytime you eat something that seems like a deviation form your normal diet you could say “Well this is contributing to the neural development of the baby!” You don’t have to beat yourself up because you had a doughnut. Jess Smith: Once I had that realization, I just thought “Okay I don’t need to go hungry. I don’t need to deprive myself.” I probably was little bit more relaxed. After the baby was born, I breastfed for the first twelve months and then realized “Okay, it feels like I’m starving all of the time!” So I would have pumpkin bread. My baby was born in September so it was perfect, right in the Thanksgiving and Christmas holidays. We had our typical holiday treats but I didn’t feel as guilty about having some pumpkin bread or some strawberry bread. Still, I would try to make it at home so that it was a little bit healthier. Yet even during that time I would still try to keep vegetables at the top of the list. Lean protein, whole grains also at the top of the list. I had to remember that my calorie need was kind of low in terms of activity output, I wasn’t doing any intensity. I was trying to build my volume early on, but with training and breastfeeding combined, I mean that feel like peak training! Making sure that you’re getting enough calories to support not only your training but to support this other human life is critical. It takes a lot of calories to do both. The more you can fill those calories with really nutrient dense foods, I think the better. But then yeah, don’t kill yourself. If you feel like “I’m dying, this baby needs to eat again. I’m having a doughnut!” Just remember that you’re going to burn that doughnut off anyway. You don’t want it to be your entire diet, but then again you’re exercising. You don’t need to go crazy with all of the extra stress in your life. I you have to be hyper-focused on never eating bad during pregnancy when you have a newborn it can be difficult. You may think, “I’m gonna go off the rails!” So keep it within reason, staying focused, trying to stay 80-90% as healthy as you can possibly be in your diet but then give yourself a treat for making it all happen. I think is worth it. Dr. Chris Segler: I think that’s great. Those are really helpful tips. So for people listening to this who either are pregnant or they just had a baby and they’re in that situation where they’re trying to figure out how to negotiate all of these changes in their life and they need a coach, how do they get a hold of you, where is the best place to find you? 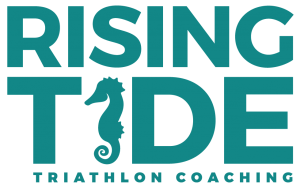 Jess Smith: You can find me at Rising Tide Triathlon Company or http://www.risingtidetri.com/ or you can just email me directly at jess@risingtidetri.com. Dr. Chris Segler: Excellent! Jess Smith: Yeah, I’m happy to help, even if you just need couple answers to questions. If you’re looking for a coach, awesome. But if you just want a quick chat or answer to questions, or you have an issue that you just want some help listen, I’m here and available. Dr. Chris Segler: That’s great, Jess! That’s all really helpful. Now you know where to get a hold of Jess if you have a question about pregnancies, staying fit or how do you like go 12 hours in your first Ironman, or then subsequently chop a couple hours off of there and go to Kona right after that! Anyway reach out to Jess if you have any questions. And again, Jess thanks for coming on the show! Jess Smith: Thanks for having me!